When I walked into that studio I had fear in my eyes and trepidation in my heart. Sure I’ve posed for thousands of photos in my 34 years and, with a photographer for a husband, I have become quite adept at getting that picture-perfect shot. But the studio, that was different. 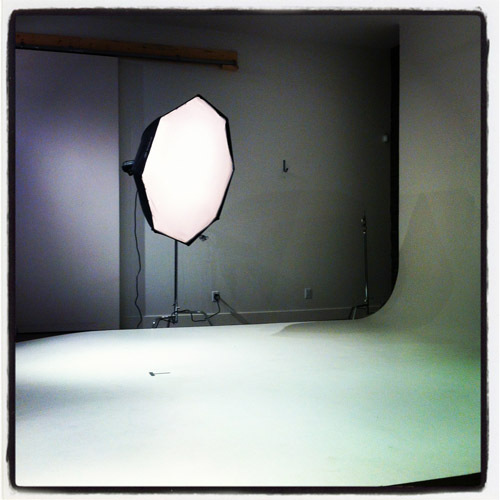 There were strobe lights, soft-box lights, small lights, large lights, blinding lights. There were tripods, wind machines, a giant, white, half-pipe backdrop. And then, there was me, my purple stretch mark attacked belly, and the cameras. Oh, and one more thing: My insulin pump. I went into this studio session feeling nervous as hell, like seriously, I was shaking, I was sweating, I had butterflies in my belly that were overpowering the kickboxing moves of thumb-sucking alien baby. But thanks to Big Ring and his superhero photo talents, I left feeling empowered. With photos like these, how could I not? For me, these photos are a smack in the face of all those who have repeatedly told me you can’t, who looked at me with pity, who felt sorry for me, doubted my ability – because of diabetes. These photos are because I can. Because I can was first published on Aug. 20, 2012.